Phoenix, Arizona (March 23, 2018) – Presented by Activated Events and Relentless Beats, Wet Electric returns Saturday, April 28, 2018, to Big Surf Waterpark in Tempe, Arizona. 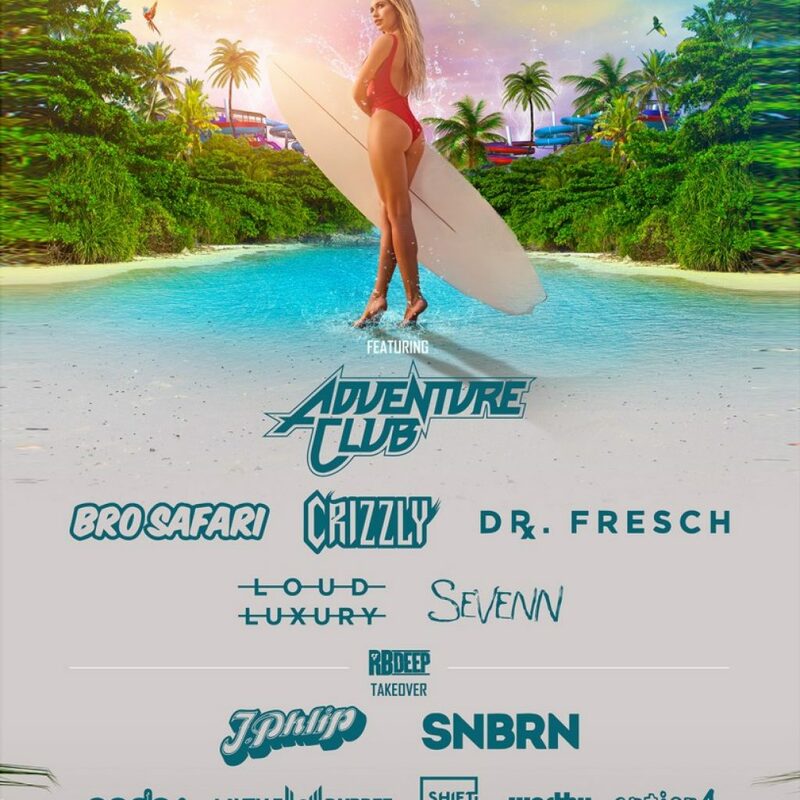 Back for its 8th rendition, the country’s largest waterpark music festival continues to make tidal waves of sound by announcing Adventure Club; Bro Safari; Crizzly; Dr. Fresch; Loud Luxury and Sevenn. Additionally, the Relentless Beats premiere house, techno, and underground brand, RBDeep, will host a takeover during the festival boasting performances from some of the biggest names in the scene. Artists slated to take the RBDeep Stage include: JPhilip; SNBRN; Codes; Lavelle Dupree (of Scooter & Lavelle); Shift K3Y and Worthy b2b option4. Fast becoming a favorite aquatic adventure amongst fans, past installments of Wet Electric have included: Tiesto; Diplo; Dillon Francis; Dada Life; Eric Prydz; Borgore; Destructo; Justin Jay; Dash Berlin and more.